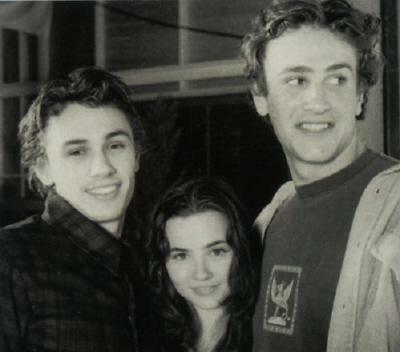 Cast Behind The Scenes Photos.. . Wallpaper and background images in the Freaks and Geeks club tagged: freaks and geeks cast behind the scenes photo james franco linda cardellini jason segel. This Freaks and Geeks photo might contain workwear, roupa de trabalho, vestuário de trabalho, o desgaste de lazer, lazer, desgaste de lazer, retrato, headshot, close up, and closeup. Freaks and Geeks - Gordon Crisp - I amor amor amor it!